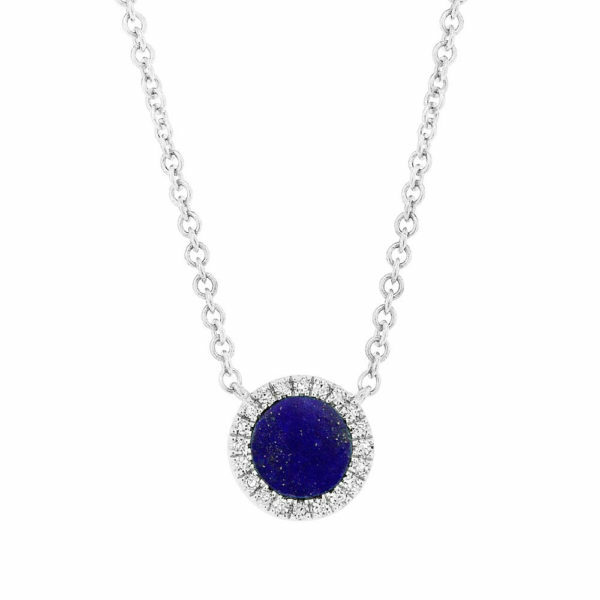 For those of you new to KVO Collections, we name pieces of our collection after important people in our lives. We haven’t named a necklace in a while and thought this Valentine’s Day would be the perfect time to tell you about an amazing person who is very, very dear to my heart. His name is Shane and he is my oldest son. Shane is 17 and is a junior in high school. He is a loving, kind, thoughtful, patient, and very smart young man. It has been such a blessing to have him in my life and watch him grow through these past 17 years into a very special and unique person. The colors of the simple round lapis and turquoise necklace remind me of Shane’s radiant blue eyes. For me both colors of turquoise and lapis symbolize creativity. I remember when he was very little, maybe 4 years old, I heard all sorts of banging coming from the basement and wondered what was going on. I wandered downstairs to find Shane with nails and a hammer and wood. He built a really cool house for his stuffed animal, Chubby, with a door that hinged open and closed! And to this day, he is still creating all sorts of things and thinking about how to make things better. The colors of turquoise and lapis also make me think of calmness, a sense of grounded-ness and self awareness. We have traveled a lot of places with our kids and Shane always, even when he was little, can navigate unfamiliar places and foreign environments with a sense of surety and balance. This picture of Shane is one of my favorites. It’s a picture of him in his EMT uniform as he volunteers as an EMT at Darien Post 53, an ambulance service run by high school students in our town. 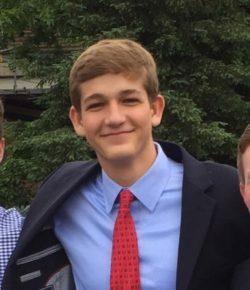 This is an organization that he has been involved in since being a freshman where he has learned commitment, friendship, hard work, and compassion. Shane, I love you. May we present you with the Shane necklace….